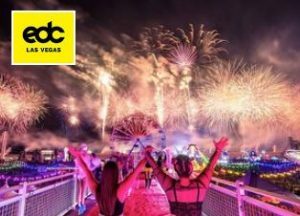 Electric Daisy Carnival (EDC) Las Vegas is one of the biggest electronic music festivals in the world. Gathering nearly half a million attendees from all over the world, the festival is a mecca for EDM lovers. Each year EDC Las Vegas’ eight stages are imaginatively redesigned, combining with the dozens of interactive art installations, hundreds of costumed performers and awe-inspiring fireworks displays to create a uniquely immersive experience. The flagship event for one of the most trusted names in electronic music, the festival has to be on any electronic music fan’s bucket list.